Because of our mandate to “know God and make Him known”, our goal is to disciple and train people with practical and relevant tools to achieve this in all cultures, nations and spheres of society, throughout their whole lives. Our training goes beyond academic and theoretical training and aims to provide people with real experience and practically equip people for their area of service. The YWAM model of training and discipleship is “live – learn”, recognising that learning doesn’t just take place in a classroom, but also through serving and living in community. That’s why our lectures go hand in hand with one-on-one discipleship, small group discussions, team work and more. 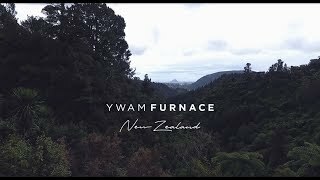 As YWAM Furnace NZ we’re called to be a resting place for God, a resting place for people and a center for training and sending, a modern-day Antioch. Through our training schools – whether they are DTS’s, secondary schools or internships – we believe that every student will experience God’s resting place here, as well as a rest amongst the community and in relationships where restoration and freedom will take place, and get an understanding of how to multiply Antioch centers around the world. Every training course leads directly into related ministry opportunities, both in the context of YWAM and further afield. We believe that from the Ends of the Earth, we will touch the nations of the Earth. The Lord has given us a clear mandate to focus on several geographical regions, among which are New Zealand, Fiji, Philippines, Korea, Japan, East Asia, Nepal and Turkey. Get ready to go on an adventure experiencing the beauty, adrenaline and fun of New Zealand, connecting your longing for adventure to the One who created it. You’ll learn how to draw people into the heart of God through doing what you love. The more personal your relationship with God is, the more fuel you’ll have to impact and influence others. On Intimacy to Impact DTS you’ll grow in confidence in your prayer life and in how to share Jesus with people. We want to see burning hearted worshippers raised up who will awaken worship in every nation and every part of society. 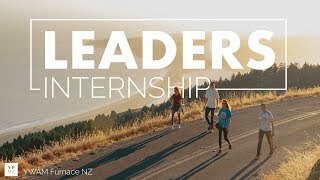 This three-month internship is an intro to YWAM Furnace NZ staff in which you will be equipped and trained in the practicals of leadership. During this time you will gain training in many areas that will prepare you for ministry or wherever God is leading you. 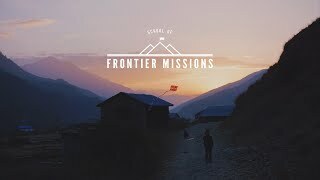 The School of Frontier Missions is a three month lecture phase school focused on sending long term missionaries into the field. 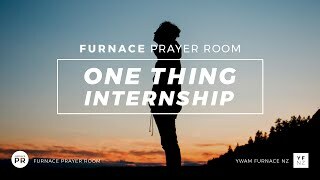 We believe that God is sending out laborers into the field who have burning hearts for His presence and a longing to see the nations encounter Him. This is a second level school for those who are passionate about worship, enthusiastic about music, and longing to know God on a deeper level. The heart behind the school is to call forth true worshipers who will minister to God’s heart and be equipped to bring others into His presence.